Diane founded SupportEd (formerly DSF Consulting) in 2011 as a way to serve all stakeholders who work to help ELs realize their full potential. At SupportEd, Diane serves as project lead for all the team’s work and communicates directly with clients. Some recent projects include developing a suite of five blended EL professional development modules for the National Education Association, creating a set of English language proficiency standards for adults and an online training module for the U.S. Department Education in partnership with the American Institutes for Research, revising the P-12 Professional Teaching Standards for TESOL International Association, and providing ESOL program support and technical assistance to the Syracuse City School District (NY). Diane is an author of four books, a blogger for the Colorín Colorado website, and a frequent keynote presenter on EL education at conferences across North America. 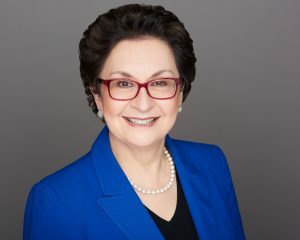 Diane was a research associate at George Washington University’s Center for Excellence and Equity in Education, spent a decade as an ESOL teacher, dual language assessment teacher, and ESOL assessment specialist in Fairfax County Public Schools, VA, and taught English in Mexico and Germany. Diane earned her Ph.D. in Multilingual/Multicultural Education with an emphasis in Literacy at George Mason University. She earned her MAT in TESOL at the School for International Training and her Masters in German at Penn State University. She lives in Fairfax, VA with her husband, three elementary age kids who are in a Spanish immersion program in their public school, a dog, a few fish, and an elderly hamster. Diane speaks fluent Spanish and German, grew up on a dairy farm in New York State’s Finger Lakes region, and is a first-generation college graduate. Sydney began working for SupportEd as a way to build on her passion for advocacy and educational equity for ELs that flourished during her time as an ESOL teacher. Sydney has significant experience in developing and conducting interactive professional development for teachers of ELs. Sydney led a project for the National Education Association to create and pilot blended professional development modules focused on the instruction and assessment of ELs, advocacy for ELs, second language acquisition, and culture. She has also created and facilitated professional development that focuses on research-based strategies to support ELs’ language development and academic achievement for teachers in multiple states. Sydney also brings significant experience developing curriculum, writing literature reviews, and facilitating working group meetings. For the U.S. Department Education in partnership with the American Institutes for Research, Sydney helped convene a panel to select a set of English language proficiency standards for adults and is leading the development of an online module to provide training on the standards. For TESOL International Association, Sydney summarized the findings of an expert standards committee to write standards for short-term certificate programs and conducted a literature review to support the standards. Sydney brings extensive instructional experience, having taught ESOL/English as a Foreign Language for over 15 years. She taught most recently in Falls Church, VA where she was also the K-12 ESOL Curriculum and Instruction Resource Teacher for the district. Sydney earned her Ph.D. in Multilingual/Multicultural Education at George Mason University and her MAT in TESOL at the School for International Training. She lives in Scranton, Pennsylvania with her husband, two daughters, and one cat. Sydney had her own experiences with language learning while living and teaching in Argentina, Guinea, and Indonesia. Jill joined SupportEd because she loves collaborating on advocacy and capacity development projects to empower English learners, their families, and their educators. At SupportEd, Jill serves as project manager, professional development trainer, and online content designer. Jill played a key role in the development of a suite of speaking and writing rubrics, along with extensive supporting materials, for teachers of ELs in New York City and oversaw the process through production quality control. Jill contributes research and technical writing skills to publications and designs training materials on effective teaching strategies of ELs. 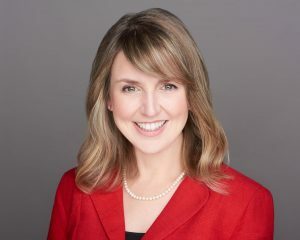 She has developed materials, reports, and provided support to educators for the British Council, Williamsville Central Schools (NY), and the National Education Association, among others. Jill worked with the U.S. State Department English Language Fellow Program in Vietnam on a two-year fellowship in which she provided consultation in strategic planning, teacher development, and textbook development for National Foreign Languages Project 2020, a national educational reform project sponsored by the Ministry of Education and Training of Vietnam. Jill has 20+ years’ experience teaching and leading teachers in English language education in New York and Virginia and internationally at the elementary, middle school, high school, college and adult levels. Jill has an MATESOL from the School for International Training and a B.A. in International Relations. Jill has a strong grasp of French and Japanese language, not to mention a smattering of Spanish, Chinese, and Vietnamese. Loving unique cultural experiences, Jill has mastered the abacus and dabbled in Vietnamese comedy. She lives in Northern Virginia. Theodora (Teddi) Predaris, M.A., M.S. 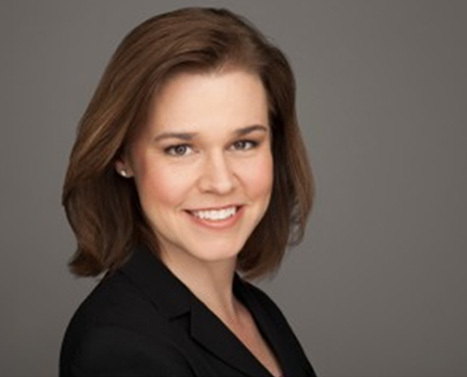 Teddi joined SupportEd so that she could apply her expertise as a successful district level administrator in Fairfax County Public Schools, the tenth largest school district in the US, to other districts who are experiencing growth in their EL population. Teddi primarily provides technical assistance and program development support to school districts across the country. As a Senior Consultant for SupportEd, she has assisted Los Angeles Unified School District (CA), Syracuse City School District (NY), Jefferson County Public Schools (KY), and Reading School District (PA) in developing their English Learner (EL) Master Plans. Teddi has also provided research support to a national study on dual language program implementation and policy in partnership with the American Institutes for Research. As director of the Office of Language Acquisition and Title I in Fairfax County Public Schools, Teddi developed, implemented, and supervised successful Dual Language Immersion, ESOL, World Languages and Title I programs. During her tenure in FCPS, former limited English proficient students who had become English proficient performed at or above the level of their other English proficient peers on state assessments in language arts, mathematics, science, and social studies. Teddi has served as an expert panel member on numerous projects for the U.S. Department of Education. 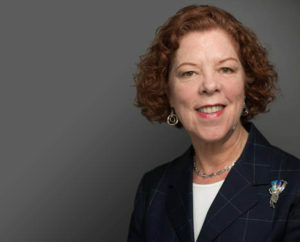 Prior to her twenty-four year tenure in Fairfax, she was the assistant director of the national information center on English learner education, the National Clearinghouse for English Language Acquisition (NCELA – formerly National Clearinghouse for Bilingual Education). Teddi has taught ESOL and Spanish in the US and abroad and holds a B.A. from Duke University in Spanish and Secondary Education, an M.S. in Applied Linguistics from Georgetown University, and an M.A. from Middlebury College in Spanish Language, Literature and Culture. She grew up in a home where modern Greek was spoken, lived and studied in Spain for several years and now lives with her husband near Washington, D.C. Teddi loves playing the violin and guitar, cooking, international travel, and foreign films. Joanne chose to lend her services to SupportEd to work with a team dedicated to fostering ELs’ academic and personal success. She is a Senior Consultant with SupportEd who was recently part of a team of experts working on developing a suite of formative assessment rubrics and supporting materials for ELs in K-12 for the New York City Department of Education. She also provides professional development and technical assistance to schools and districts around the United States on effective instructional practices for ELs and the implementation and evaluation of language instruction educational programs. Most recently she contributed to an EL resource guide for the New York State ELA Curriculum in partnership with the American Institutes for Research. A native of Puerto Rico, Joanne brings rich experience in the education fields of ESOL, dual language programs, and foreign language instruction. She has provided leadership at the district, state and national levels in the development and implementation of instructional programs, curriculum development, professional development, and assessments and accountability systems. Previously, she was the Deputy Director for the Office of English Language Acquisition (OELA) at the U.S. Department of Education. Joanne held multiple positions as a teacher and administrator with Miami–Dade County Public Schools, Florida. As the Director for the Division of Bilingual Education and World Languages she had overall responsibilities for all instructional programs for ELs in K-12. Under her leadership, the infusion of technology into ESOL instruction became an integral part of Miami-Dade’s program. She also oversaw dual language programs and world language instruction, retiring from the district. Joanne is a supporter of the arts, and you can often find her attending shows with her husband. Kent has worked with Second Language Learners, from Early Childhood through Adult Learners, for more than 30 years. With a Masters in Bilingual Education and additional state certifications in Pre-School, Elementary, and ESOL (K-12), he has taught in classroom, pullout, co-teaching, language immersion and resource support settings. As a National Board Certified teacher, he has focused on working with students, teachers, administrators and families on a myriad of issues related to English Language Learners. Kent has also worked with teachers and administrators as a mentor and coach as they worked to provide the most appropriate instructional support for their English Language Learners. His work as a mentor/coach involved instructional conversations, classroom visits, modeling lessons, reflection discussions and debriefings as well as planning sessions. As a mentor/coach, he has worked with teachers at the pre-school, elementary, middle and high school levels. 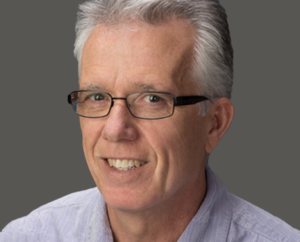 As an adjunct professor at George Mason University, Kent has taught courses on: Second Language Acquisition, Reading & Writing for Second Language Learners; Assessment of English Language Learners and Instructional Practices for Second Language Learners. With the Director of ESOL Programs in the Fairfax County Public School System (VA), Kent developed and conducted a Model Classroom program that invited teachers and administrators to observe classroom instruction focused on Best Practices for English Language Learners. Visitors spent the afternoon debriefing the morning sessions and planning for improved instruction for ELs at their schools. Observers came from local, regional, national and overseas school systems. Combining professional expertise, interactive sessions and humor, Kent has provided PD on many aspects of Second Language Learning: Differentiation, Second Language Acquisition, Scaffolding; Lesson Planning, Team Teaching Coordination; Assessment, Family/School Connections, among others. He has worked with educators in a variety of school settings around the country, Puerto Rico and overseas. Eleni wanted to work with SupportEd to help English learners be successful in all their classrooms, ESL and content area alike. She specializes in helping both ESL and non-ESL teachers develop expertise in helping English learners be as successful as they can be. Her goal is to help all teachers learn how to help English learners become a true, integrated part of the classroom and school communities. To this end, she helps teachers develop effective classroom strategies and understand how affective factors, like motivation and anxiety can influence how English learners interact in the classroom. Eleni has spent over 20 years in teacher preparation and professional development and has published over 35 articles and book chapters that focus on helping English learners maximize their academic and social achievement in the mainstream classroom. 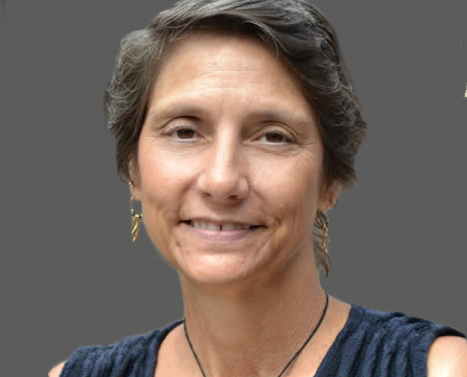 She has expertise in assessment and evaluation, consulting on the development of both the Florida ESL teacher certification assessment and the Praxis II ESOL. Most recently, her assessment work focuses on the identification of English learners with special needs. She has directed several grants related to professional development and headed a multi-million dollar federal grant that, in part, developed a self-directed module-based, online professional development program designed to reach rural areas that are geographically isolated. As the program coordinator for the Teaching English as a Second Language program at the University of North Carolina Wilmington, she designed and implemented their first ESL teacher preparation program in both face-to-face and online formats. She currently lives in Wilmington, NC and takes the occasional trip to Greece to enjoy a bit of R and R (Rocks and Relatives). When at home, she can be found at the barn following her daughter (an avid rider), at the gym, or on her laptop while her son throws around weights that are probably too heavy for him. Kate joined SupportEd to apply her talents for digital marketing and graphic design in order to contribute to an organization committed to EL advocacy. At SupportEd, Kate contributes to marketing initiatives, often through graphic design, content creation, website management, and copywriting. She is a versatile go-getter who partners with the SupportEd team to accomplish organizational goals – whether administrative, creative, or both. 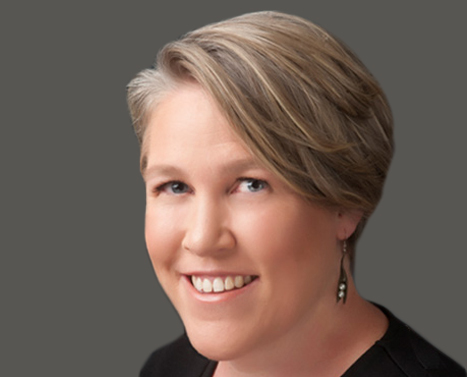 By garnering proficiency in a variety of software tools common to the marketing profession, Kate is able to select and apply the optimal tool for any task. Kate is a recent graduate of Virginia Tech, where she studied communications and found her first job in digital marketing while managing the university’s social media presence. Her career has also included working with start-up firms to create strong brand identities, innovative marketing strategies, and excellent graphic design. She lives in downtown Baltimore, MD with two dogs and finds a further creative outlet playing guitar and performing live from time to time. She is the daughter of a volunteer ESOL teacher and often helped out with adult ELs while growing up. Joanna began working with SupportEd in order to further her passion for bridging research and practice in the service of educational equity for English learners. 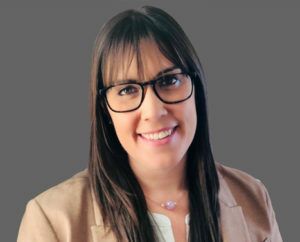 Joanna is contributing to several EL-related technical assistance projects including with the U.S. Department of Education’s National Clearinghouse for English Language Acquisition and creating Reading School District’s first EL Master Plan. Joanna has taught ELs from all over the world in the United States, as well as in Spain and the Czech Republic, including in bilingual Spanish/English classrooms in Spain. In her previous role at the Center for Applied Linguistics she conducted research and oversaw project activities, budgets, and staffing in the PreK-12 English Learner Education program area. The portfolio of projects she managed included a rewrite of the Los Angeles Unified School District English Learner Master Plan; Promoting Educator Networks: Standards-Based Instruction for English Learners, an Investing in Innovation (i3) grant from the U.S. Department of Education; a subcontract to Regional Education Laboratory (REL) Northeast and Islands; and two projects funded by the Bill and Melinda Gates Foundation, Education Connections and Enhanced Education Connections, which supported the growth of Teacher Leaders and their implementation of standards-aligned, sheltered instruction for English learner students. Additionally, Joanna was part of research team that conducted a qualitative study for the International Baccalaureate Organization, authoring two case studies that investigated the development and implementation of language policy in IB World Schools. She has presented at national and international conferences on the role of language in K-12 education and language policy in the U.S. and internationally. Joanna holds an MSc in Applied Linguistics from the University of Edinburgh, Scotland. Her publications include a co-authored book chapter and articles in peer-reviewed journals. Joanna had experiences as a language learner in Spain and the Czech Republic and currently lives in Arlington, VA. She enjoys playing soccer, running, cooking, baking (and eating! ), and attempting to learn the ukulele. Lindsay joined the SupportEd team to gain experience in supporting an organization dedicated to students and EL advocacy. At SupportEd, she works closely with the development and implementation of our online courses, applying her attention to detail to materials review, tracking participation in the online courses, and creating completion certificates for all participants. She looks forward to continuing to develop her skill set as she supports SupportEd’s vision to empower EL educators and ELs. 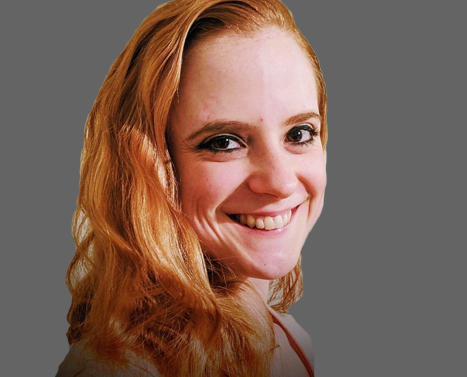 A native of Pennsylvania, Lindsay currently lives in Northern Virginia and dances professionally with Manassas Ballet Theater.